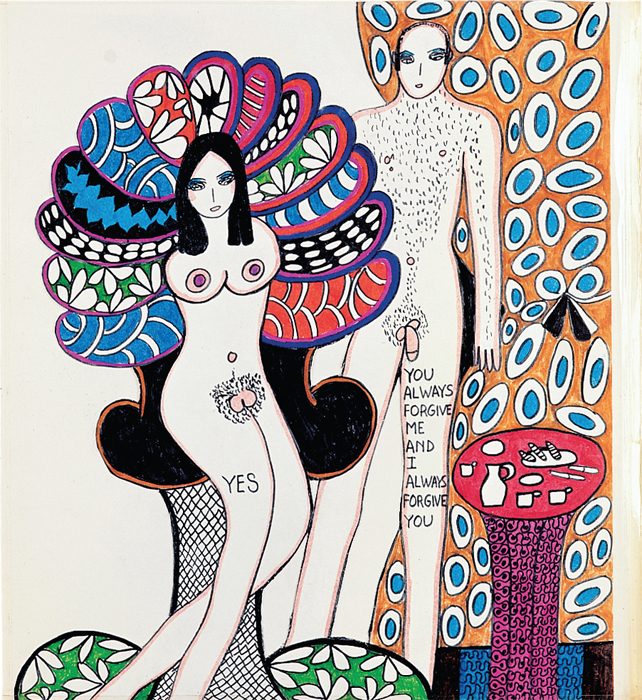 Dorothy Iannone, Dialogues X (detail), 1968–69, one of nine drawings, felt-tip pen and collage on paper, 14 1/2 x 14 1/4". Stewart Uoo, Out Here, 2014, C-print, 26 x 40". James Benning, After Howard, 2013, latex housepaint on plywood, 14 1/8 x 25 3/4".